The number of V8-powered vehicles that rely on carbon fiber to save weight just grew by one, but the newest member of this expanding club is not what you’d expect. 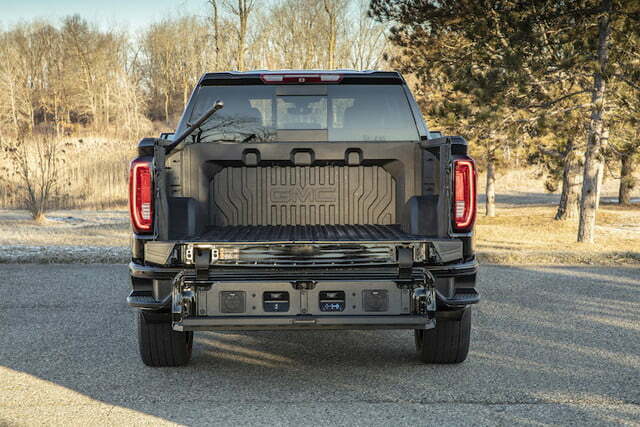 While supercar manufacturers like Lamborghini have used carbon fiber for decades, GMC is bringing the material into the pickup segment in order to make the Sierra stronger, lighter, and more durable. 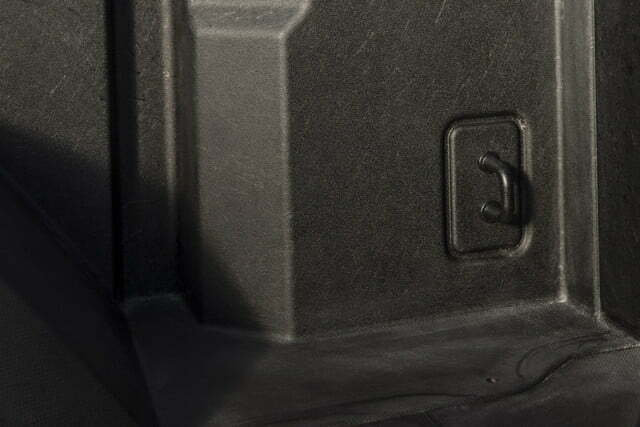 Select variants of the truck will soon be available with an optional cargo box called CarbonPro that’s partially made out of carbon fiber. The box’s outer panels are made out of steel but the sides and the floor are manufactured with carbon fiber. The most obvious advantage of this feature is weight — the CarbonPro box weighs 60 pounds less than a steel box, so it increases the truck’s payload by about 60 pounds while upping its cargo capacity by one cubic foot. 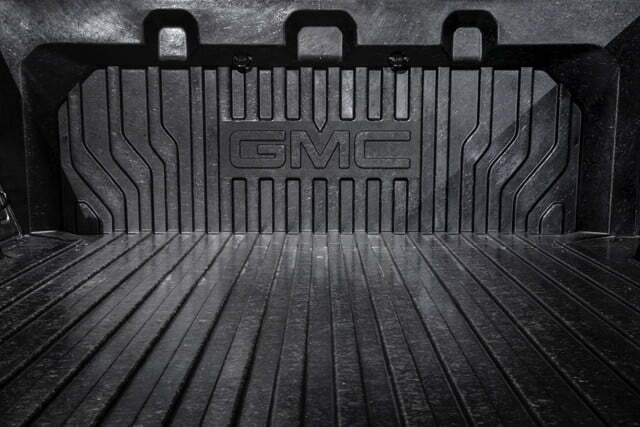 It doesn’t rust, and it withstands dents and scratches better than steel, so it eliminates the need to apply a spray-in bedliner. Customers who mercilessly use the Sierra as a work truck shouldn’t worry about durability, GMC says. It made the carbon fiber box suffer through extreme temperatures on both ends of the thermometer, and it dropped a variety of large, heavy objects into it to make sure it can withstand tough impacts. The company went as far as putting a snowmobile on metal studs carrying a 250-pound rider in the truck box. The rider was then asked to accelerate at full throttle. The result? “Minimal scratching,” according to the company. The CarbonPro box brings innovation to a segment that, until recently, resisted forward progress with donkey-like stubbornness. GMC isn’t alone in its approach; its rivals are making trucks in smarter ways, too. Ford has manufactured the F-150 using aluminum for years, while Ram packed the 1500 with tech features — including a mild-hybrid system and a vertical touchscreen — normally found in high-end luxury cars. 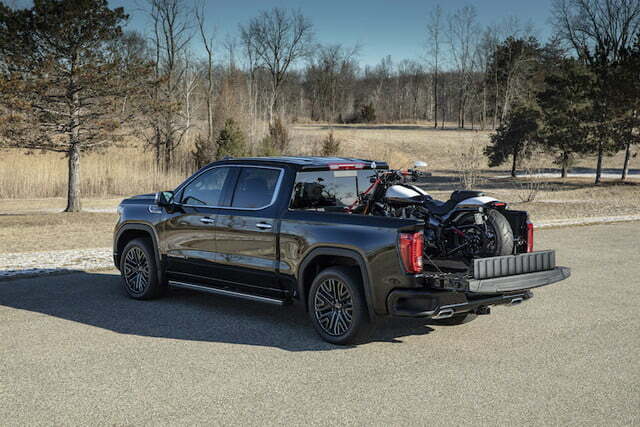 Starting in the summer of 2019, Sierra buyers who select either the Denali 1500 or the AT 1500 version will be able to order the CarbonPro box at an extra cost. 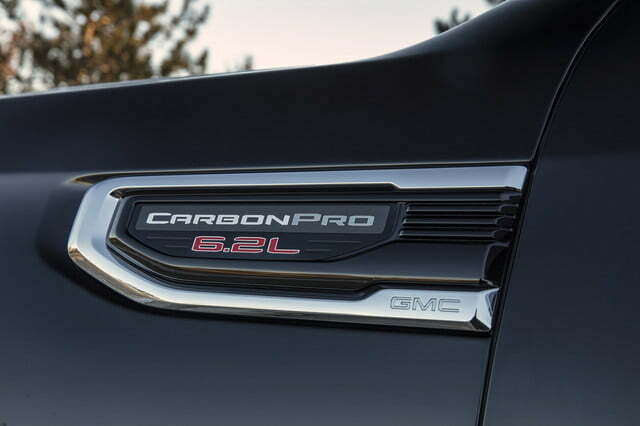 Pricing information has not been made public yet, but the fact that the carbon fiber box is only offered on relatively expensive models positioned near the top of the Sierra hierarchy is telling. Don’t expect it to come cheap — at least not yet. 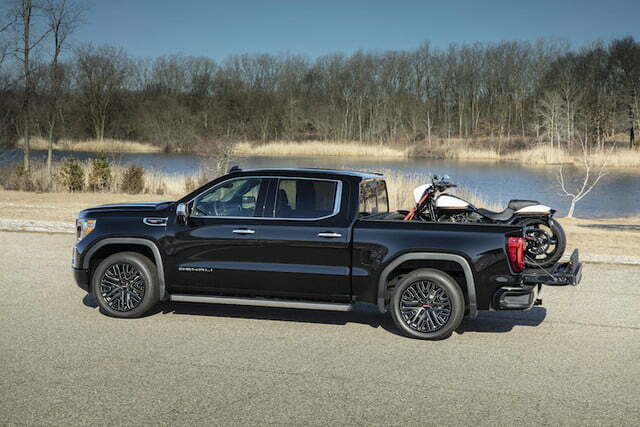 GMC announced it will make its CarbonPro box available on other members of the Sierra portfolio during the 2020 model year. And, it’s reasonable to speculate sister company Chevrolet will offer a similar option on the Silverado in the not-too-distant future. 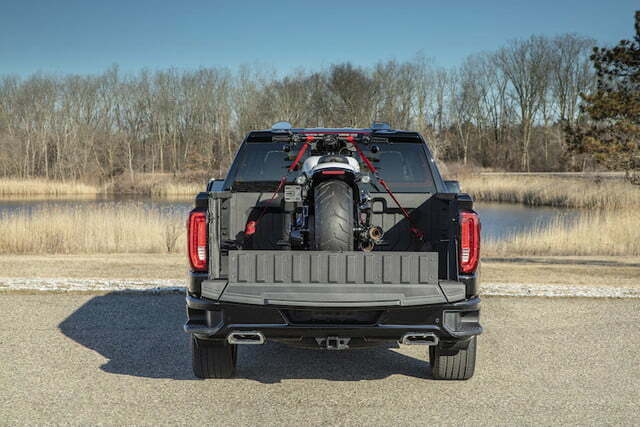 GMC likely wants to keep the carbon fiber box to itself for the sake of exclusivity, but sharing it with Chevrolet will help it leverage the benefits of economies of scale while giving its sibling a competitive advantage over Ford and Ram.